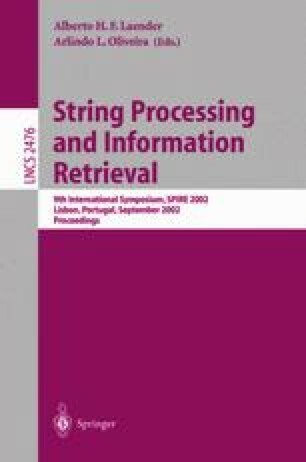 This paper is aimed at the study of quantitative measures of the relation between Web structure, page recency, and quality of Web pages. Quality is studied using different link-based metrics considering their relationship with the structure of the Web and the last modification time of a page. We show that, as expected, Pagerank is biased against new pages. As a subproduct we propose a Pagerank variant that includes page recency into account and we obtain information on how recency is related with Web structure. Supported by Millenium Nucleus “Center for Web Research” (P01-029-F), Mideplan, Chile. Akwan search engine: Main page. http://www.akwan.com, 1999. Google search engine: Main page. http://www.google.com/, 1998. Netcraft web server survey. http://www.netcraft.com/survey/, June 2002. Nua internet-how many online. http://www.nua.ie/surveys/howmanyonline/, February 2002. TodoCL search engine: Main page. http://www.todocl.cl/, 2000.